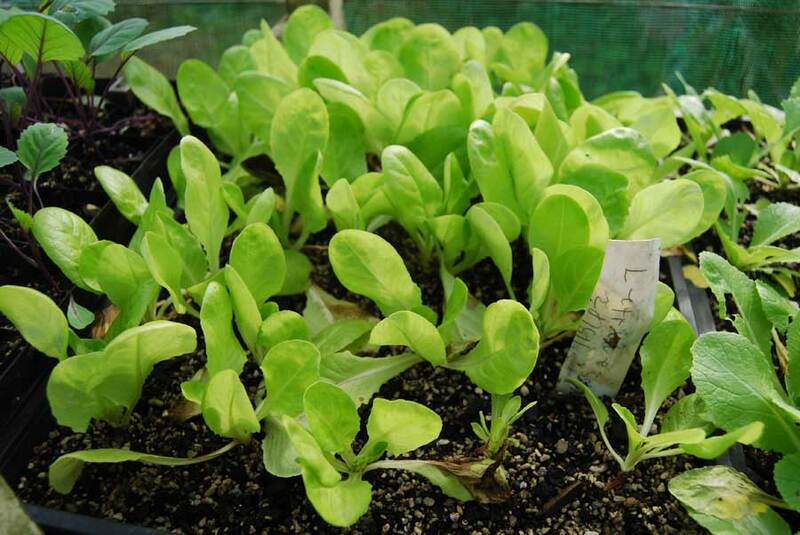 An easy going, fast growing favourite leaf the world over, lettuce can pretty much be harvested year round, either in the open ground, in pots and containers or within the protection of a greenhouse in chilly parts of the country. One of the easiest and most instantly rewarding plants you and any young gardeners you may have around can sow. As well as being a key salad ingredient, lettuce has found its way into soaps and skin lotions – particularly for the treatment of sunburn. Companions Cucumber, onion, radish, carrot, dill. Quantity 10 plants per person per spring/summer. 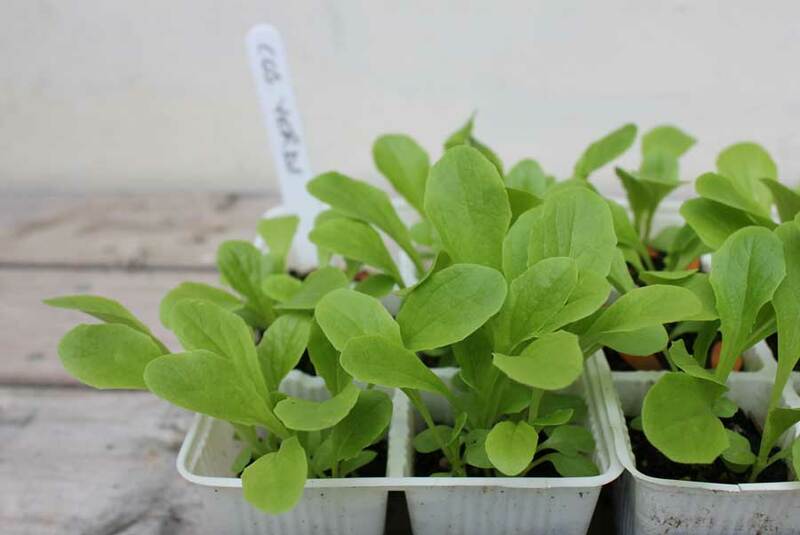 Click through to view lettuce seed options. 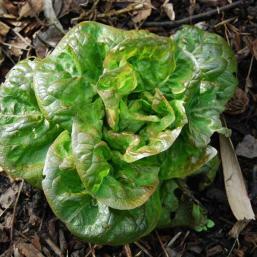 Cos a fast growing lettuce variety – also known as ‘Romaine’- crisp, firm leaves form a dense heart at the centre. 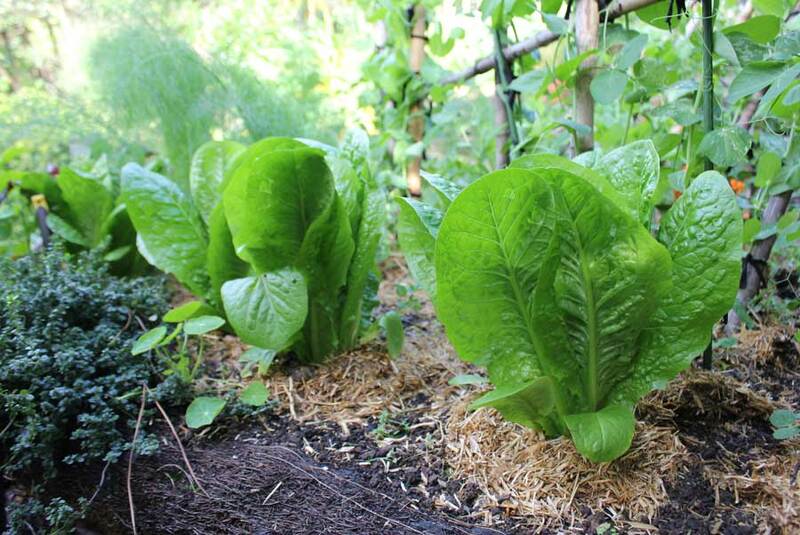 Often grow to an elongated shape.‘Little Gem’ is a small growing heirloom Cos variety with sweet crisp leaves. Delicious, easy and compact. 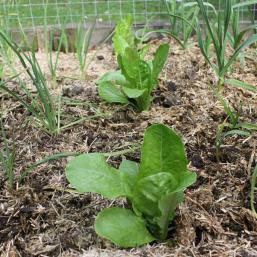 Paris White heirloom variety and the lettuce behind Caesar salads with tall, conical head of light green leaves and crisp, white heart. Freckles an heirloom variety with attractive light green leaves covered in red freckles. Heat tolerant so good for sunny, summer gardens. Loosehead these are open-growing varieties with loose leaves that do not form a tight, crisp head. Mild in flavour. Oak Leaf heirloom variety with oak-leaf shaped leaves. Good for hot dry conditions thanks to a degree of heat tolerance. Has a sweet flavour. 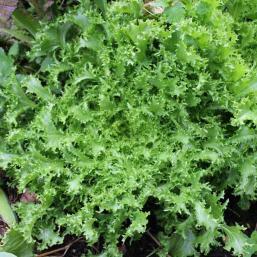 Lollo Rosso an heirloom variety with abundant frilly edged, wavy leaves that are light green at their base and red at their tips. 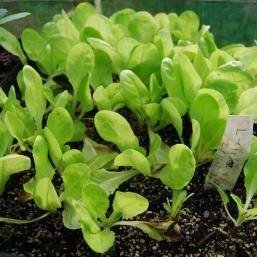 Butterhead these are generally smaller lettuces and are suited to container growing or gardens with restricted space. 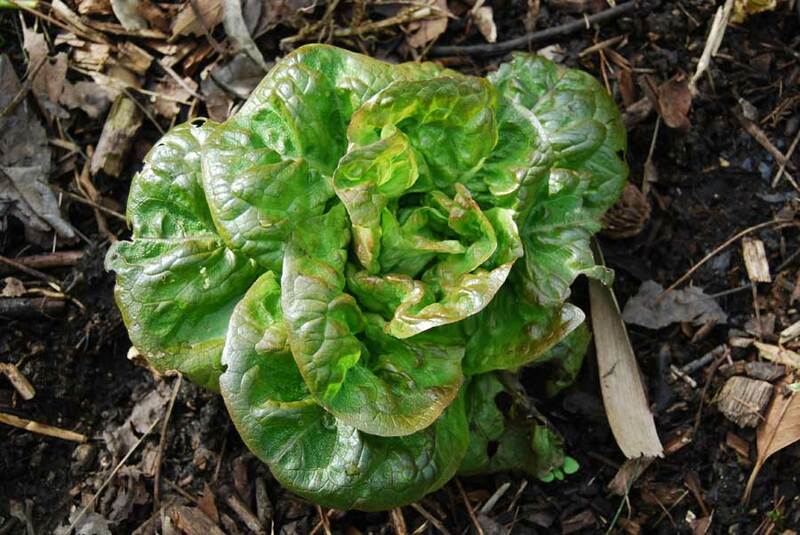 Buttercrunch heirloom variety that forms small, rounded tight head with crisp leaves that stay sweet even when plants are mature. Good for year round growing. Thom thumb heirloom variety that produces small, compact plants. Sweet and tasty, great for container growing and small gardens. 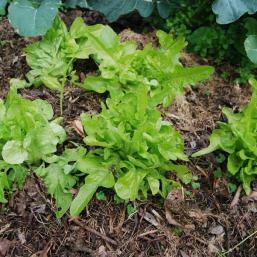 Crisphead also known as ‘Iceberg’, these large lettuces with dense hearts of crisp, crunchy leaves. Tolerant of summer heat. Great lakes heirloom variety that produces a large rounded head of dark green, frilled leaves. Resistant to heat – so a good summer variety. Ice King heirloom variety with crisp, sweet leaves. Grows well in summer but is best grown in cooler months. 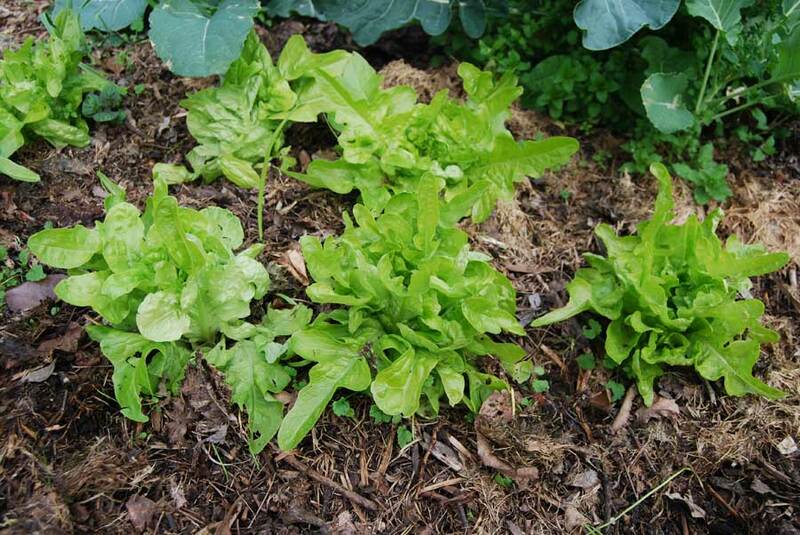 Lettuces like a sunny spot but can tend to wilt and become bitter tasting if they get too much sun in summer. 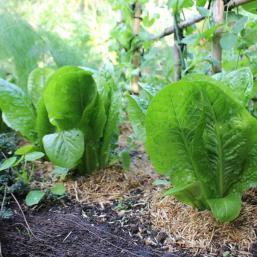 If your plot gets full sun all day then try and offer a little shade during the hottest part of the day or plant your lettuces between other vegetables. 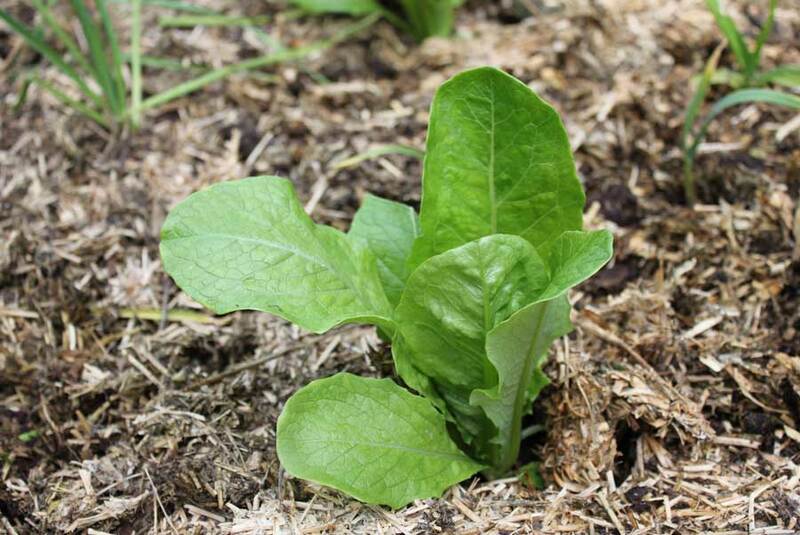 Lettuces grow so fast they are often sown as a ‘catch crop’ that matures long before whilst neighbouring, slower plants – such as sweet corn, carrots, tomatoes, cabbages and beans – are ready. If you plant them in containers then you can choose your spot– they don’t need too much soil so you can even grow them in a bucket. 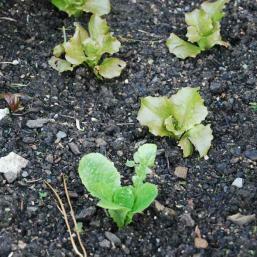 Lettuces like rich soil that holds onto some moisture. 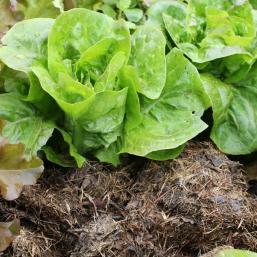 This sort of mix should have visible particles of rotted organic material through it – kitchen compost, rotted manure and the like – which provides nutrients and helps to hold onto water. 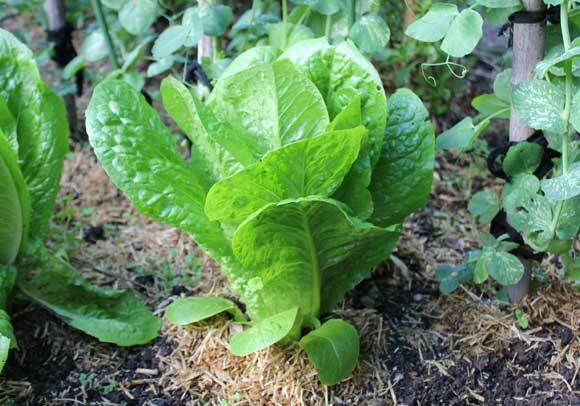 Because they are relatively fast growing leafy greens lettuces are hungry feeders and need the nutrients that come with this essential organic material – especially if they are going to be lush and juicy. 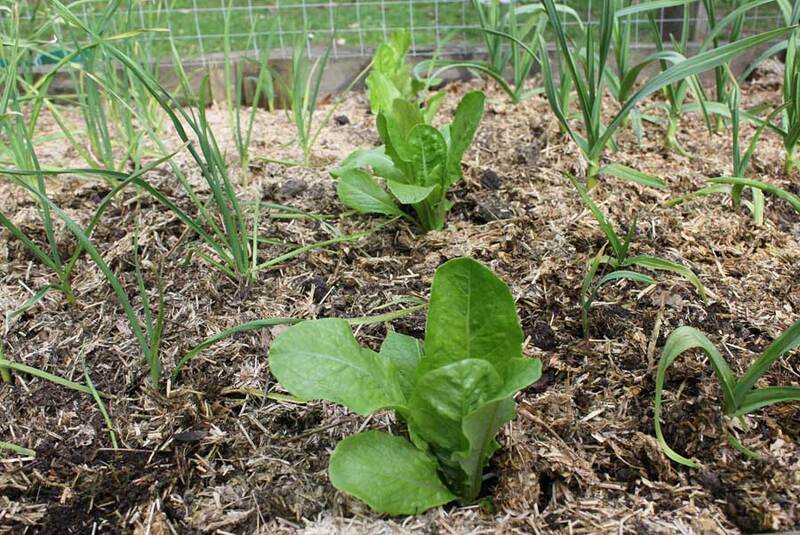 Give your soil a good digging through before you sow and rake to a level so that there are no big lumps that might hinder sprouting seeds. 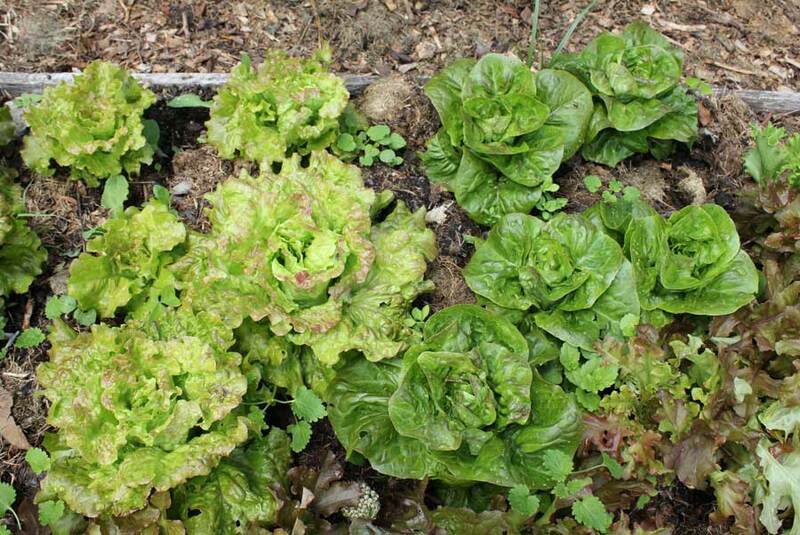 Lettuces are best sowed directly into your garden beds or containers but they can be sown into trays or punnets to get a head start before spring warms up. 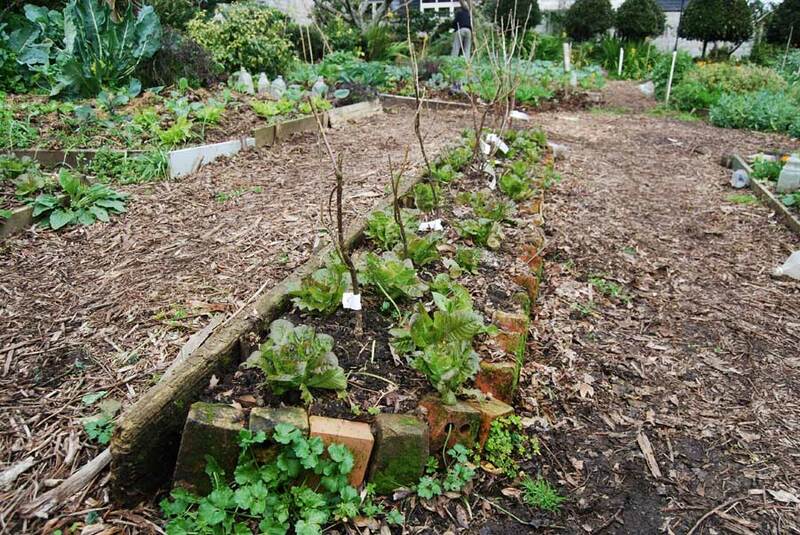 This also to gives them more of a chance of withstanding slug and snail attack (These slimy salad fans can take out small seedlings overnight). 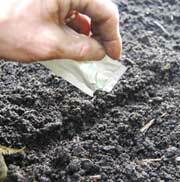 Drag your finger, stick or trowel handle across the surface of your soil to make a channel or ‘drill’. This should be about a half finger-tip deep and about the same width. Alternatively scatter seed over your chosen area if rows aren’t your thing. Sprinkle seeds so that you can see one every finger width apart. Brush soil back across your seeds and gently firm with light hand pressure – as if you are pressing on a sandwich before cutting it. Then water with a watering can fitted with a shower rose fitting. 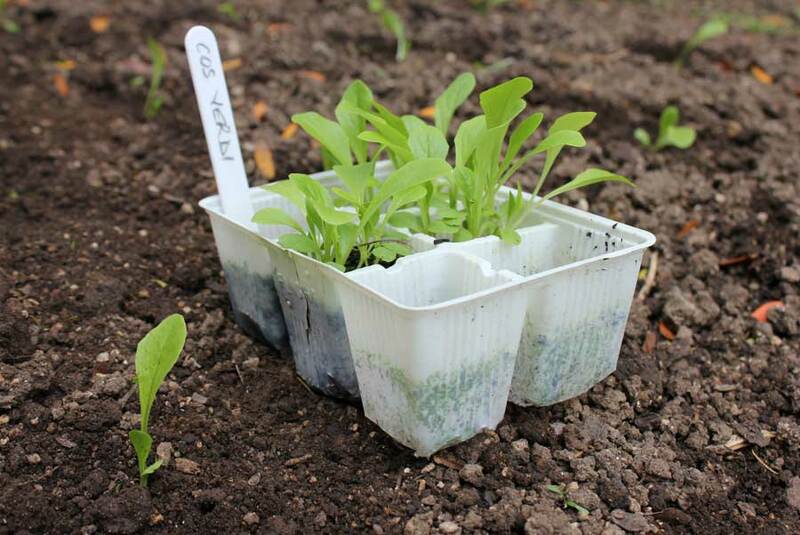 As your seedlings develop keep soil moist with additional watering if conditions are dry. 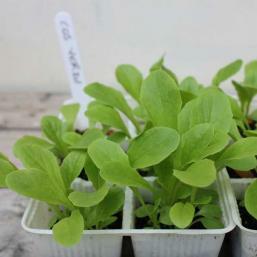 Thin seedlings when they are easy to get hold of – somewhere between a half and a full thumb length in height. Ideally, when thinning is done, you will end up with each plant about a full hand’s length apart. If you are planting in rows they should be around a foot away from each other. If you are planting seedlings then pop them in about a hand’s length apart. 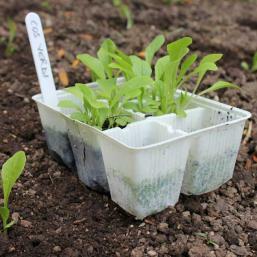 Seedlings can be protected against, rain and slug attack with juice bottle cloches. These are removed when foliage becomes constricted by them. Keep an eye out for slug damage. 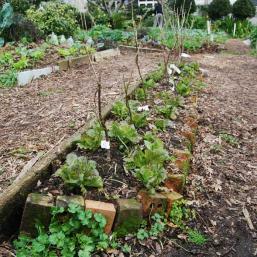 Seedlings are particularly susceptible and can be wiped out overnight. 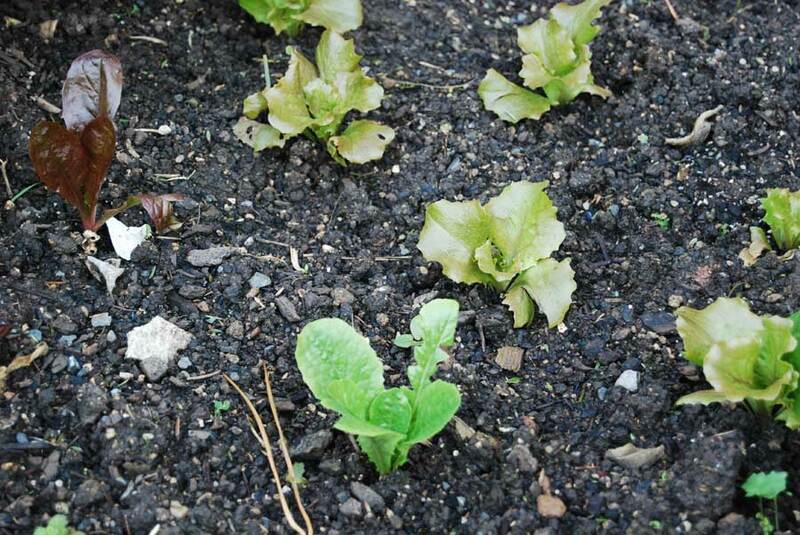 If you see evidence of attack then go on a slug hunt and utilize slug control methods. 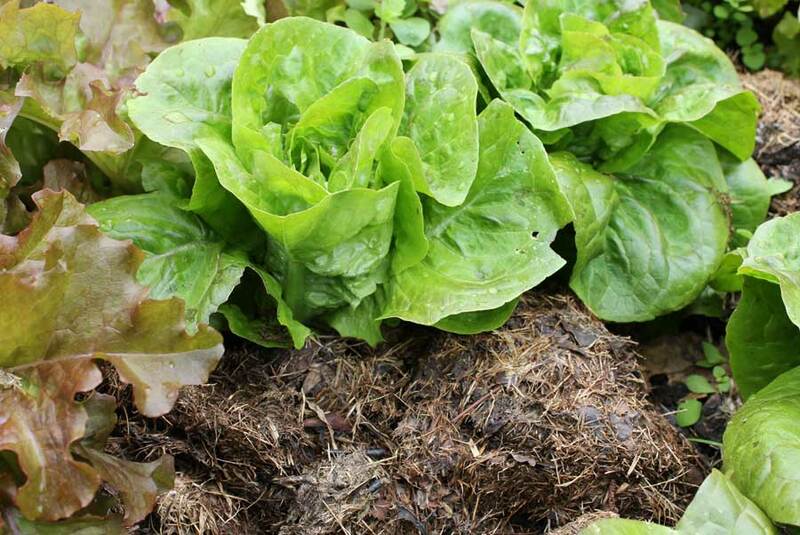 Depending on how well you have composted the soil you might want to give your developing plants an extra boost with some liquid seaweed/worm juice. Avoid using liquid feeds on plants you aim to eat within 24 hours as you might ingest bacteria that – whilst good for your garden might not receive a warm welcome from your digestive system. 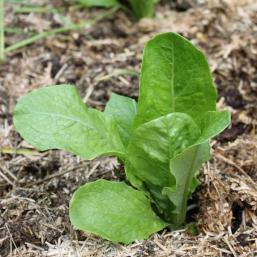 Many lettuces can sustain the odd outer leaf being pilfered as they mature. Crisphead, Butterhead and Cos varieties are ready for cutting when you gently grasp their heads and feel firm, leafy resistance. 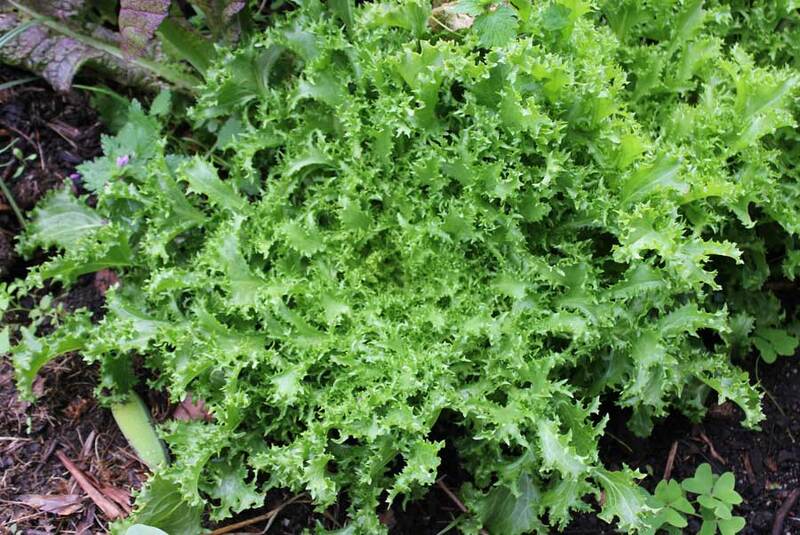 Leafy Loosehead varieties like ‘Oakleaf’ can be pilfered constantly without taking out the whole plant. 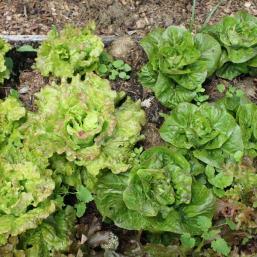 Sow every few weeks and try different varieties to prolong your salad days.